Halo and Halo Pro resurface the skin by causing controlled micro-injury. Results develop as the body heals itself, replacing the old, damaged skin cells with new cells, increasing collagen production and breaking up pigmentations and textural issues. Halo is a non-ablative laser that heats the targeted tissue without destroying it and is appropriate for textural issues. The Halo Pro is unique in that it delivers two wavelenths at once, one of which is ablative, meaning it vaporizes the tissue completely. The other wavelength is non-ablative, causing controlled heating and coagulation. This combination of wavelengths is appropriate for moderate pigment and tonal issues as well as textural issues, and is especially effective for collagen stimulation of more mature skin. Before | After: We frequently treat off the face. 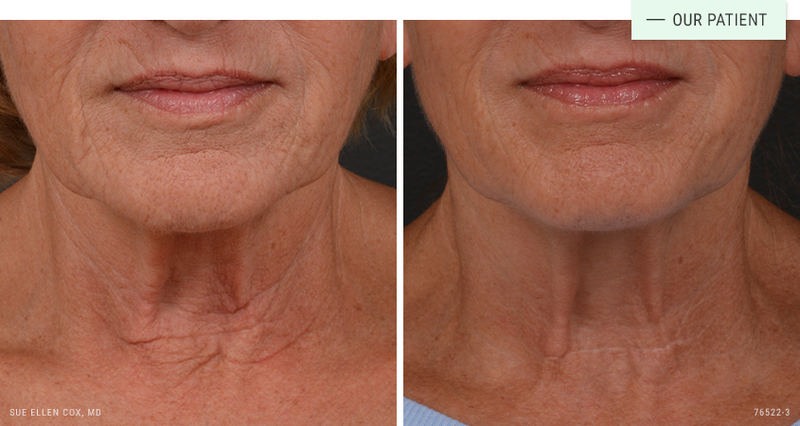 Halo Pro is especially effective for treatment for neck banding and texture. 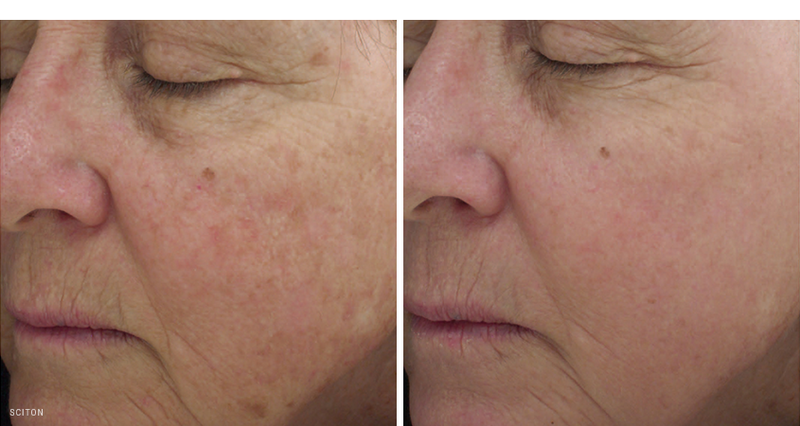 Before | After: This patient received two Halo Pro treatment to improve her skin tone and stimulate collagen production. 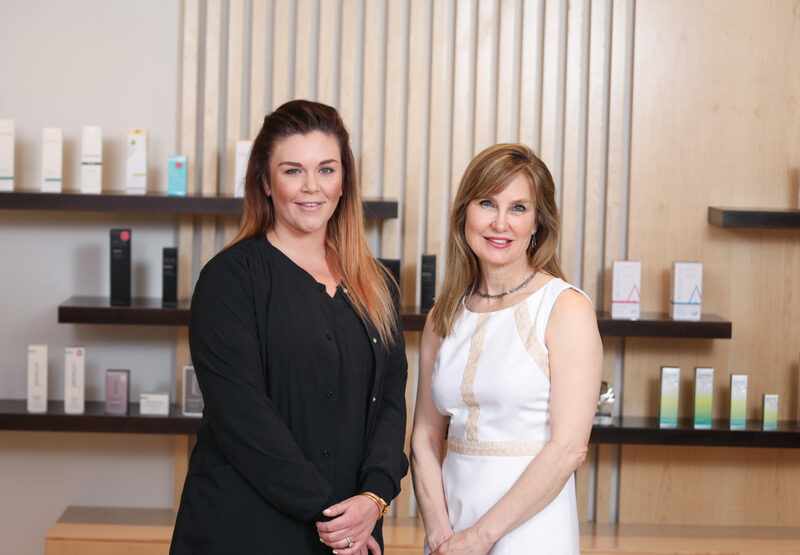 Expertise: Dr. Cox learned from the best, getting her early training from Dr. Richard Fitzpatrick, the inventor of laser resurfacing. The FDA has cleared Halo and Halo Pro to safely treat a number of issues related to skin texture, tone and pigment. It has an excellent safety profile. Like any surgical or non-surgical procedure, there are risks. As a teacher and trainer of other physicians in laser procedures, Dr. Cox stresses the importance of finding an experienced physician who understands the finer points of laser treatment. Halo and Halo Pro is well tolerated. Before the procedure begins, a topical numbing gel will be applied to the treatment area to minimize discomfort during the procedure. The procedure itself typically takes 30-45 minutes. Patient typically report little or no discomfort during treatment. Halo and Halo Pro require downtime. Recovery is characterized by predictable stages that usually resolve within a week of treatment. Immediately after the procedure, the treated area will appear bright red, and feel hot. Over the coming week, most patients experience some degree of swelling, minor itching, dry skin, and peeling or flaking. You may notice that your skin appears to have a “gridded” or “pixilated” look. Your provider will give specific instructions about what to expect for your particular treatment and how to minimize side effects. Both Halo and Halo Pro stimulate collagen production, improve skin texture and tone, minimize pore size, and reduce the appearance of redness and brown pigmented areas in the skin. They treat sun damage and texture from acne scarring and other scarring. The Halo is typically suggested for those under the age of 40 who are just starting to see signs of aging. The Halo Pro is a more aggressive treatment for more mature skin, and those seeking more collagen stimulation. Patients are often happy with results from one treatment, but may opt for a follow-up treatment. 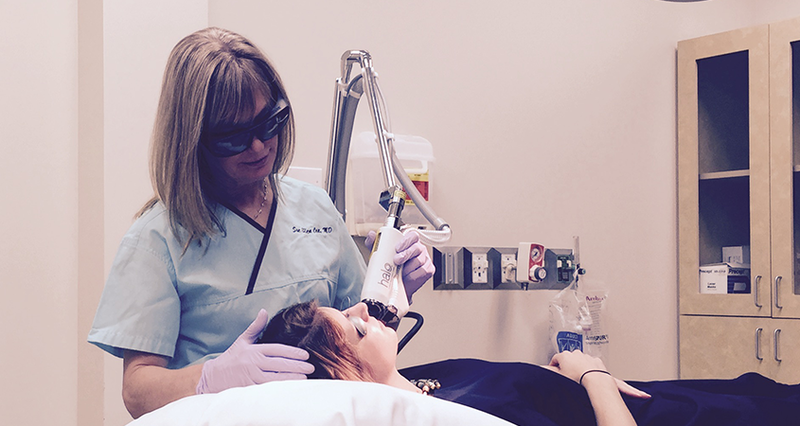 "I absolutely loved my Halo Pro laser results. I got a lot of nice comments at a recent class reunion. Jamie is awesome, thank you for doing such a great job."